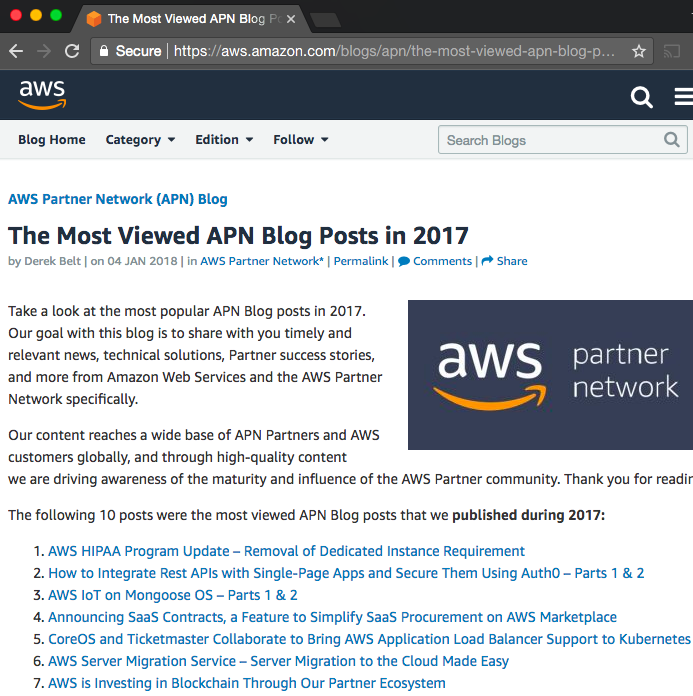 AWS has released the Most popular AWS Partner Network (APN) Blog posts in 2017 rating. The content of the APN Blog reaches a wide base of AWS customers and APN Partners globally. To quickly start with Mongoose OS visit Downloads section. To contact, send us a message or ask on the developer forum.